The monthly costs of the 5 alumni sites is approximately $125.00. We need your help in order to keep these free and accessible to everyone who is interested. You may make a donation to our General Fund or any Scholarship fund by selecting the "Make A Donation" heading to the left. All donations are tax deductible. Show your LSCAA with our new 4 x 4 bumper stickers. If you know where anyone may be located on the "Missing" list, please let me know. If you would like a current list of missing classmates, please click here and I will forward you one! Anyone who EVER attended a LC School can join the site, regardless of whether you graduated. If you are a friend/family of Alumni, you also can be added as a guest. No one was intenionally left off, just please submit your name and I will add you so you are able to create a profile. Class photos have been attached to the profiles for the Classes of 1963 and 1964. If would you like for me to attach a school photo to your profile, please email. All material on this Web site and other domains owned and maintained by Reelfoot Foundation (Lake County Schools Alumni Association, Lake County High School Alumni, Tiptonville High School Alumni, Ridgely High School Alumni and Lincoln School Alumni, Reelfoot Foundation) is copyrighted and may not be reused or repurposed in whole or in part with express written permission. 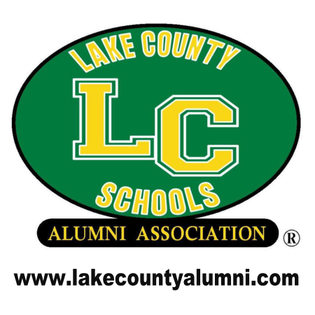 MEMBERSHIP DISCLAIMER: This is a private site maintained by the Lake County Schools Alumni Association. Classmates that did not graduate with the class, or that graduated from other years may be admitted on a case by case basis. All membership, regardless of graduating year, will be granted or denied, at the discretion of the site administrator. All memberships may be revoked at the discretion of the site administrator. The privacy and security of all registered members will be considered a priority for the purpose of invitations, admittance, denials and revocations. DATA: Information provided on this web site is obtained on a "best efforts" basis and no one shall be held liable for any errors or omissions. To correct any data other than your own profile data, which you can update yourself, please go to the "Contact Us" button and send your comments to the web site administrator.